Anyway, feel free to post anything* here. "knock" "knock" may i come in? hmm nice little room you have here i have a gift for you a room warming present here its a Cerberus puppy he can guard over you and your room take good care of him. "Ooh, welcome to the Ra Yellow dorm, Doomy-boy," an all too familiar voice called out from the hallway. Anyone who turned to see, would be met with an individual in a red suit with a blue string bow tie, and long silver hair which covered half their face. An almost sinister grin on their thin lips as they made a slow-clap gesture, "And you as well, Think Differently. We expect great things from you both in the future. I do hope your dorm rooms are adequate, and oh where ARE my manners? I am Max Pegasus, one of the administrators of our humble academy," Pegasus then bowed slightly. 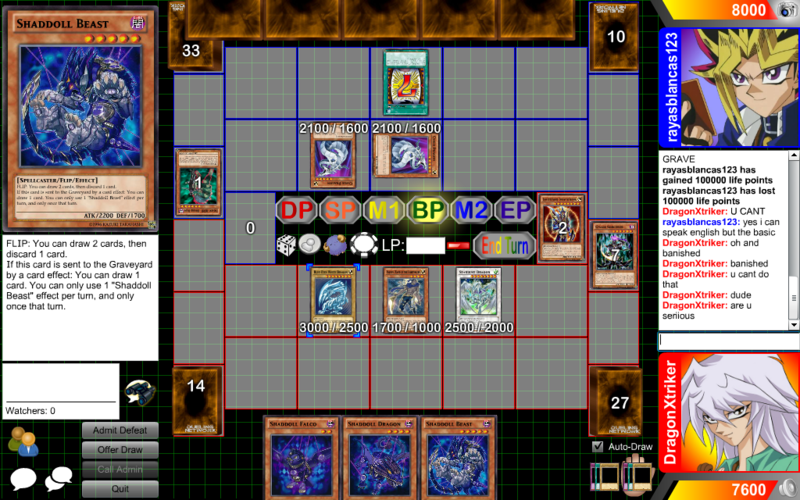 Actually Pegasus lost the Eye shortly after Yugi beat him at DUelist Kingdom. Sorry. Should probably have posted who I was. Then again, Evoker was my name on here first. Oh a blue eyes in Shaddolls?